PIERRE, S.D. – February is National Career and Technical Education Month. 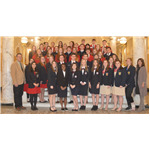 As part of the celebration, 43 student leaders came to Pierre Feb. 5-6, for the South Dakota Career and Technical Student Organizations’ Legislative Shadow Day. Activities began with an evening social Feb. 5 for students, legislators, cabinet members and state agency staff. Throughout the day on Feb. 6, students shadowed legislators at committee meetings and then observed House and Senate floor sessions. 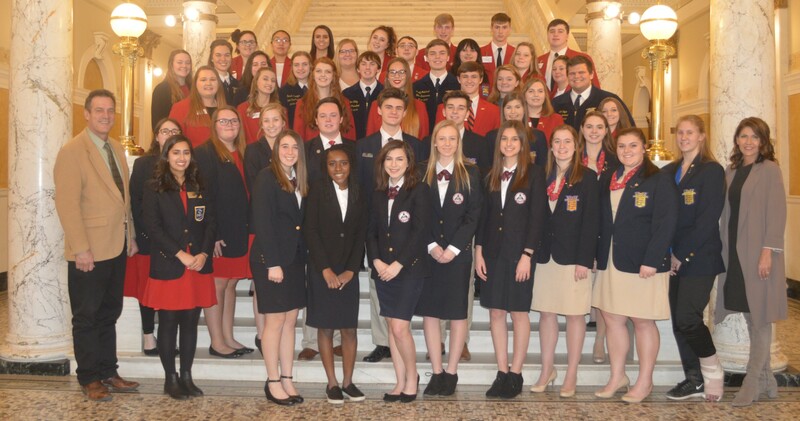 Five CTSOs are active in South Dakota: DECA, an association of marketing students; Future Business Leaders of America; Family, Career and Community Leaders of America; FFA; and SkillsUSA, an association of trade, technology and health occupation students. By participating in CTSOs, students can apply knowledge and skills learned in the classroom through competitive events; develop leadership and employability skills; and serve their communities.